Opera can be daunting for the uninitiated. The sets are lavish, the story fantastical and the language often foreign. 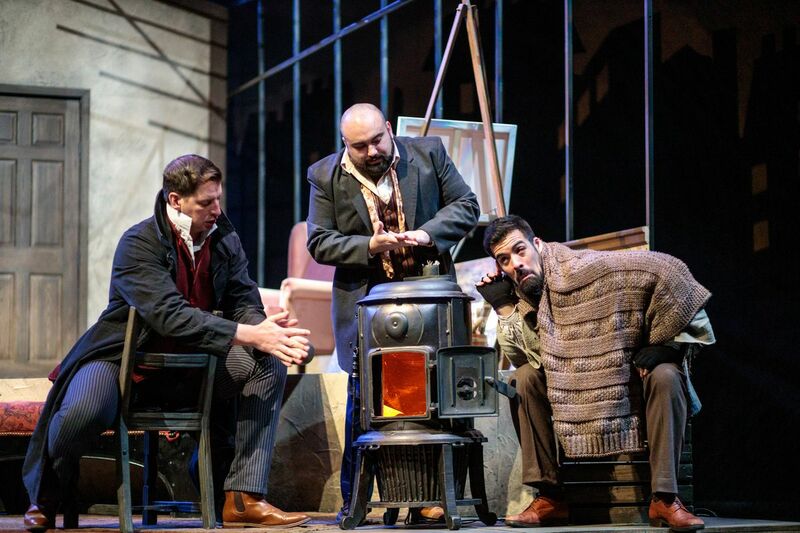 While even the most committed opera fans can tire of a 12-hour Wagnerian tour de force, “La Boheme” is, in many ways, the Platonic ideal of opera. In just under two hours, and in four well-paced acts, the story is grounded, the characters are relatable and, although in Italian, the drama of Puccini’s score speaks a universal language. Stage Director Laura Alley has had a long relationship with “Boheme.” “Opera by definition is a compilation of the arts ... No matter how many times I’ve come back to (“La Boheme”), it never failed to make me cry. ‘Boheme’ became one piece that stayed with me,” she said. The opera is, in large part, lighthearted and joyous, but there is an undercurrent of uncertainty that persists through the work, all the way until the tragic and somewhat shocking finale. “Boheme” centers around four friends scraping by as the prototypical starving artists. 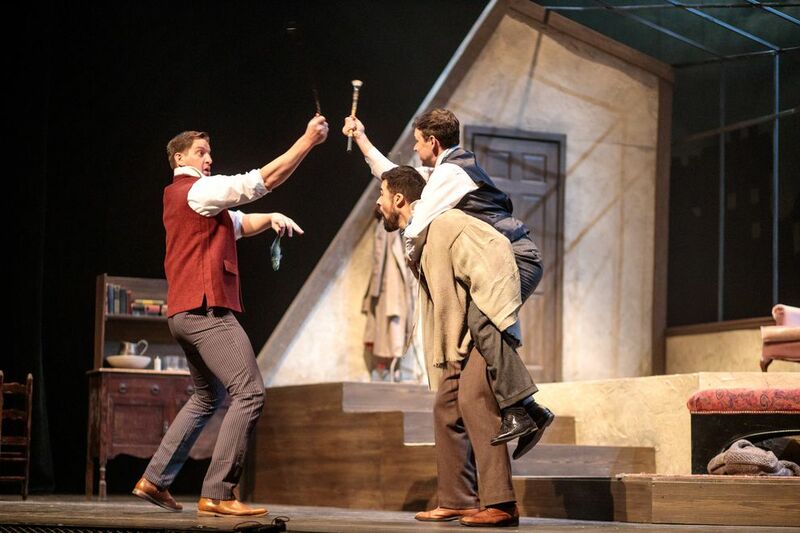 The story follows Rodolfo (played in the Anchorage production by Peter Scott Drackley), Marcello (Luis Alejandro Orozco), Colline (Andrew Potter) and Schaunard, played by Eagle River’s very own Michael Tallino. Intertwined with the story of the four friends is the passionate love between Rodolfo and Mimi, played by Claire Kutter, and the volatile, fervent relationship between Marcello and Musetta, sung by Lindsay Ohse. Since its 1896 premiere, “Boheme” has endured as an audience favorite. 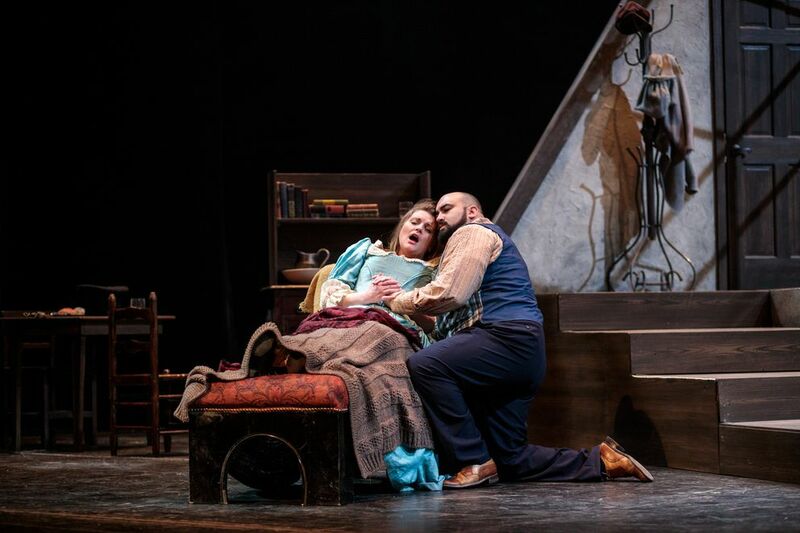 Anchorage Opera joins such notable companies as the Metropolitan Opera and the Chicago Lyric Opera in productions of the Italian classic this year alone. It’s easy to understand why “Boheme” has found its way into the hearts of so many concertgoers through the years. At a recent preview event entitled “Take One,” members of the cast, in collaboration with chorus master Richard Gordon, performed short selections and some of the greatest hits from the opera. The cast is phenomenal. Under conductor Brian DeMaris, who marks his fifth production with Anchorage Opera, the ensemble brings energy and precision to the score. Their artistic chemistry was readily apparent as they poke and prod, joke and embrace, riding the unpredictable and emotional operatic waves. The star of the evening, and she certainly wouldn’t let you forget, was Musetta. Expertly sung by Ohse, “Quando me’n vo” was intimate and seductive to the final chord. Puccini’s music is Italianate to the extreme, with expressive bel canto lines and sure-to-get-stuck-in-your-head tuneful melodies at every turn. The cast taps into all of the fun, friendship, love and loss that Puccini could tastefully cram into the piece. The magic of “Boheme” is that it really is for everyone. It represents Puccini at the height of his musical and theatrical powers. There are moments for laughter, moments for tears and plenty of beautiful music throughout.